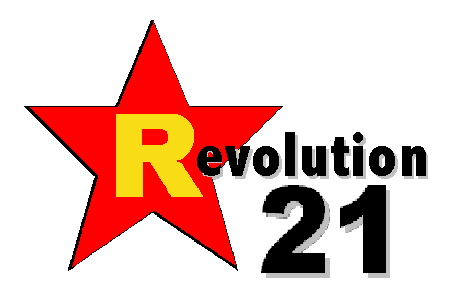 Revolution 21's Blog for the People: SMASH RUNNING-DOG VERBAL DIARRHEAOF DILETTANTE U.S. REVOLUTIONARIES! Does anybody in his right mind take crap like this seriously? I found this hand-scrawled tract lying on the ground at Omaha's almost-dead, soon to be razed Crossroads Mall today, and I think there's a metaphor somewhere in that circumstance. I'm also thinking somebody watched "Reds" five times too many. Sheesh. What's worse is that I agree with the general sentiment, hiding though it be in a steaming pile of outraged agitprop. Yes, the growing inequality of our society is a bad thing -- it's a very bad thing if you're the minimum-wage bug and not the overcompensated windshield. And what Wall Street bankers and bond traders have gotten away with the last decade (and more) is outrageous. You can't even call it beating the rap. There's no rap to beat, and that is an affront to both social justice and civil society. Furthermore, balancing a budget on the backs of those who most need "entitlements" like Social Security, Medicare and Medicaid when the "1 percent" -- indeed, even the 10 percent -- are well capable of paying a fairer share of taxes would be fundamentally unjust. Cruel, even. WE ARE our brother's keeper -- this comes from a Very High Authority, indeed -- and a society for which that is not an organizing principle is one that would be, in a word, brutish. There's a lot you can say on this subject in support of reining in Wall Street and bestowing a little governmental mercy upon Main Street, not to mention Skid Row. It all would comport with what Abraham Lincoln called "the better angels of our nature," and some of it might even persuade a few Fox News Channel viewers. Hand-scrawled tracts parroting a bunch of Leon Trotsky's B-sides? Not so much. It's a natural fact that anywhere you land on God's green earth, those who are quickest to lend a helping hand -- to share with you whatever they have -- tend to be those who can least afford their own generosity. It doesn't take much for these souls to "give until it hurts." "The widow's mite" wasn't just something Jesus pulled out of thin air. BUT the thing is, those in our society who have the most right to be damned angry at their plight generally aren't half as mad as America's outraged, tract-scrawling, fill-in-the-blank-occupying dilettante revolutionaries, whose sound and fury thus far has signified pretty much nothing. Kind of like John Reed back in the day. Frankly, I think America's have-nots deserve better representation.